“Now I feel a bit closer to him. He allows me to be closer. I feel that I have broken down a barrier that he has put up,” said mum Debra Walker. Debra is a mum of three from Ellesmere Port whose 10 year old son Lewis is autistic. Debra thinks her relationship with Lewis has improved in recent months after they both attended one of the Council’s Family Learning courses. Family Learning courses take place in primary and secondary schools across the borough. The programme includes curriculum based courses such as coding, art, science, DT, English, maths, cookery as well as those that support personal and family development such as parenting skills and Family Health and Wellbeing courses. All aim to help parents and carers to better support their child’s learning at home and, through this approach, the whole family work and learn together and improve their relationships. Debra and her son attended the coding course to help improve their relationship. She explained: “I went on the course to help with bonding with my son. My son has autism. I have always found it hard, because of his behaviour. “A lot of time between us involves hospital appointments so with this course I could focus on something that he is enjoying. “It was something we could both enjoy doing together. He loves computers and he loves building things. We could build a nice bond between us, without distractions. 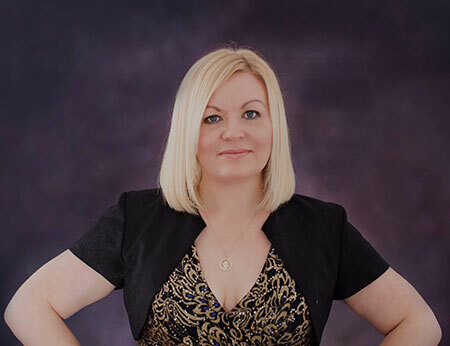 Lisa Harris, the Council Director of Place Strategy, said: “There are multiple benefits of the Family Learning courses: they help parents to stick with a course which they otherwise might not have been able to do and they boost parents’ self-esteem and give a sense of achievement. “Some parents might have a negative impression of a school environment based on their own negative experiences. Attending the course will help them to overcome this impression. Debra added: “There are barriers with autism socially which he puts up. I have seen changes in Lewis. There is confidence he has got from the course. He felt privileged to be a part of it, he was so excited that we were doing something together and he has spoken about it with grandparents. 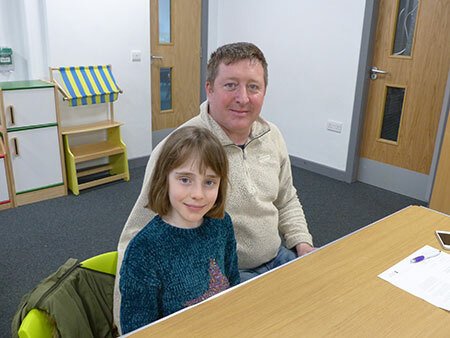 Craig Lewis from Whitby, Ellesmere Port, attended the course with his daughter Lilly, eight. He said: “It became obvious to me that the kids were learning stuff I knew nothing about. Your little girl says: ‘Dad, what is this?’ and I have to go and check. As a Dad you are meant to know everything. “The most amazing thing was Lilly built her own computer. She connected the monitor and the keyboard and all the cables and it is absolutely fantastic. Tahnee Atherton’s daughter Ellie Atherton is in a reception class. Tahnee, of Ellesmere Port, attended the art course with Ellie. She also attended the Going on a Bear Hunt workshop to teach storytelling and communication skills. Tahnee said: “It is nice that we are now sitting together and having one to one time. At home, if my other child was crying, I would have to take myself off and look after them whereas here on this course I don’t have to worry about other children. The only person that matters is in front of me. 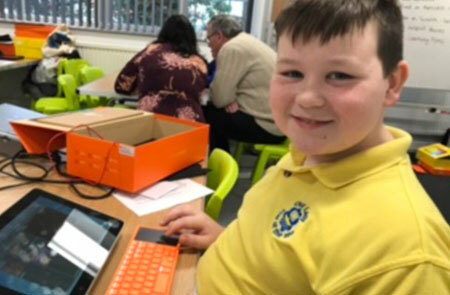 Adam Croft, headteacher of Charles Darwin Community Primary School in Northwich, said: “Charles Darwin Community Primary School has been involved with Family Learning for almost ten years. The various courses provided are significant factors in breaking down parental barriers to becoming involved in school life, with the resultant increase in adult confidence having a measurable impact upon children’s achievement. There are also a 12 week English and maths functional skills courses which take place in primary schools and children’s centres. They help parents who didn’t achieve qualifications when they were younger and result in an equivalent qualification at the end. If you would like to know more about how to help your child’s learning, please speak to your local school or contact the Family Learning team on 0151 356 6736.